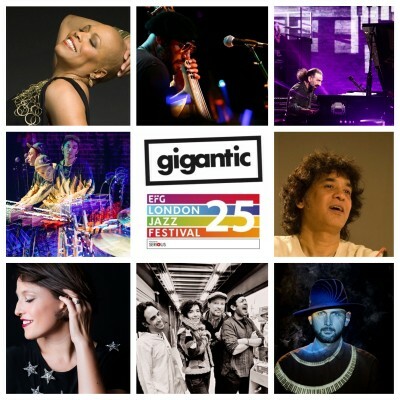 The EFG London Jazz Festival is a yearly showcase of the past, present and future of jazz by featuring major established names plus rising stars. The ambitious annual events take over the capital cities many fantastic stages to bring you over 350 premier performances across 60 stages, giving you a wide choice for you to enjoy. “Culture is in the DNA of London, and live music makes a vital contribution to the life and soul of the city. I would encourage everyone to explore the city fully and take part in London’s vibrant music scene this autumn. Running for ten days, November 10th until the 19th, EFG London Jazz Festival celebrates its silver anniversary as 2017 marks 25 years of remarkable music. Click the link to browse the many unmissable gigs they have put together, and scroll further down to have a look at our Top 5 recommendations. Celebrating a decade of opening the EFG London Jazz Festival, Jazz Voice this year will feature Guy Barker’s 42-piece orchestra. He will be accompanied by a stellar array of singers, such as Seal, Liane Carroll, Mica Paris, Miles Mosley, Tony Momrelle, Vanessa Haynes, Angélique Kidjo and Mads Mathias. Jazz Voice tickets are currently available. Fans of afro-dub grooves will be flocking to see SOOTHSAYERS take over Rich Mix where the cult band will be joined by Bangladeshi band Lokkhi Terra and clarinettist Arun Ghosh who play as support. SOOTHSAYERS tickets are currently available. Robert Glasper makes his welcome return to the EFG London Jazz Festival. After first appearing at the festival in 2005 as a relative unknown, the chart topper since has worked with the likes of Erykah Badu, Norah Jones, Mos Def, Q-Tip, Kanye West, Maxwell and Snoop Dogg. Robert Glasper tickets are currently available. Bandleader and composer Miles Davis can boast of producing many classic albums. This year, Davis pays special tribute to his 1959 classic record ‘Kind Of Blue’ live. Widely regarded as a masterpiece, ‘Kind Of Blue’ still stands as the biggest selling jazz recording released in the post-war era. Miles Davis Symphonic tickets are currently available. Few have been more influential on the rise of jazz and its continued experimental growth through improvisation than Thelonious Monk. Join the High Priest of Beebop for three very special shows to celebrate his 100th birthday! Thelonious Monk tickets are currently available.